Home / Rhun ap Iorwerth urges Welsh Government to act fast to save Prince Madog Research Vessel. 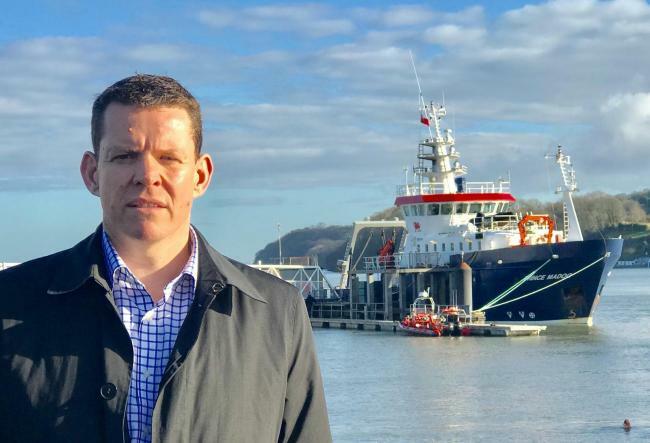 Welsh Government should do everything they can to save a research ship used by Bangor University and utilise it as a National Research Vessel for Wales, according to Plaid Cymru Assembly Member for Ynys Môn Rhun ap Iorwerth. An agreement is in place between Bangor University and P&O, who own the ship, regarding the future of the vessel until 2021, but what future the Prince Madog has beyond that time is unclear at present, which led to Mr ap Iorwerth proposing the vessel be adopted as Wales’ National Research Vessel following the conclusion of the current agreement. Mr ap Iorwerth led a short debate in the Assembly in Cardiff on the future of the research vessel last year, with Welsh Government officials having recently met with Bangor University and P&O as a result. Talks regarding the future of the vessel had proved productive, only for Welsh Government procurement rules to prevent further progress. “I had hoped to thank the Environment Minister, in her presence, and her officials for the way they worked with myself and Bangor University after I’d suggested that we should work together on a way of saving the Prince Madog and to turn it into a National Research Vessel for Wales. “I understand that those discussions with the Minister’s officials and the university had been very positive indeed, but a decision had been made that procurement rules made it impossible to proceed with that project, which could have saved that hugely successful relationship that’s existed between the university and P&O over a number of years.